In this section we will place a selection of books that are interesting or helpful (hopefully both) with reviews by members of the Healthcare team who will have read the books for you. Currently being read.... The Appointment-what your doctor really thinks during your ten-minute consultation. Our reviewer-GP says that this book accurately reflects the day's work and has a lot of insights into the thought processes involved. It explains how a GP can find themselves running late and is an interesting if somewhat exhausting read! 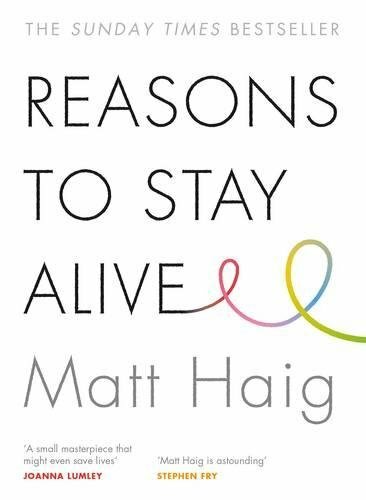 This book, Reasons to stay alive by Matt Haig (author of Humans, How to Stop Time, The Radleys and many other books) is an excellent description of depression, an illness that he experienced and overcame. An honest book with some useful tips in it.